Today, I will introduce you a method to save webpage of HTML to TIFF image with HTML Converter on computers of Windows systems, whose information can be found on homepage of HTML Converter. 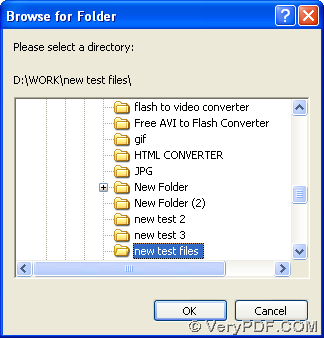 Double click installer of HTML Converter, so you can follow setup wizard step by step till it is successful to install HTML Converter on your computer successfully. 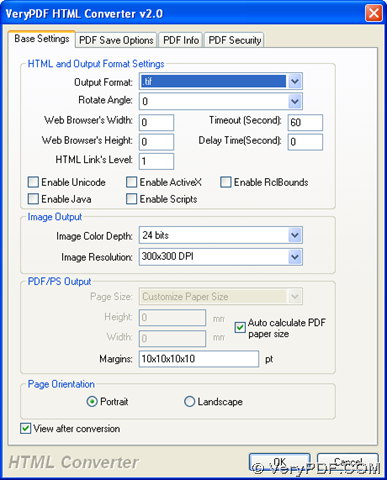 Click “Add Files” on GUI interface after you double click shortcut of HTML Converter, then select HTML file in pop dialog box and click “open” , then this HTML file can be added for this process so that its path can appear in processing form automatically. 2. To get objective format as TIFF, please click “setting” on GUI interface > click “Base settings” tab, then select “.tif” on dropdown list of “output” so that your targeting file type can be TIFF after you click “ok” in order to make program save this setting. 3. 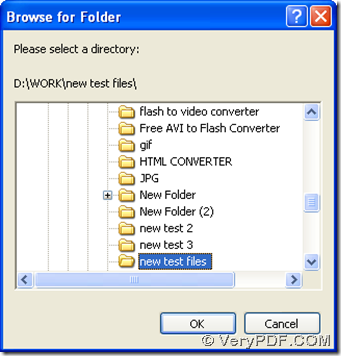 Then, you need to select targeting folder for saving TIFF image on your computer and of course you also need to start this conversion, so please click button of “start” on GUI interface, so after you select one folder in pop dialog box, you should click “ok” there, finally, your TIFF file can be made based on HTML webpage through HTML Converter on your computer. How to take multiple .htm files and merge them into a single, multi-page .tiff file? How to convert HTML to tiff and set compression under Mac system? How to convert HTML to multipage TIFF file by command line? How to rotate pages when converting HTML to TIFF? 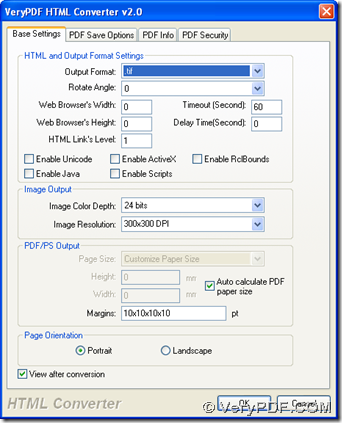 How to convert html to tiff format? How to Convert PRN to PDF? How to convert PX3 to PS and set page orientation? How to Convert PX3 to Postscript? This entry was posted in VeryPDF Blog and tagged html to tiff. Bookmark the permalink.